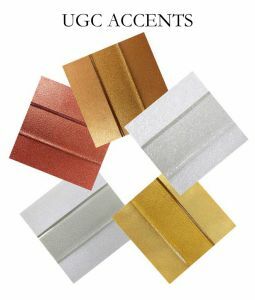 ACCENTS can be used on top of glass and fused between layers of glass. They can also be used in a Fluid Writer Pen for adding fine details or lettering words. ACCENTS come in liquid form. *DON'T FORGET to order Medium for your Artisan Colors!! *DON'T FORGET to order Medium and/or Layering Mix for your NT Colors!! 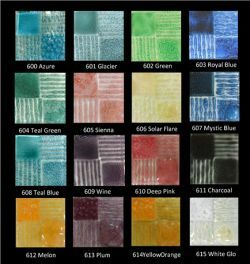 *DON'T FORGET to order Medium and/or Layering Mix, when ordering 972D Red, 973D Orange & 975D Brite Yellow!! These "Unique" Unique Colors, will only be available as long as supplies last. 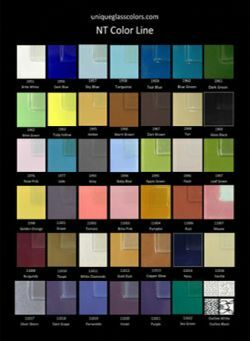 These are great for Artists who want a truley unique color to use in their work. Be sure to stock up if you fancy them, because once they are gone - they will be gone forever! 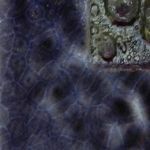 Great for adding details over unfired colors. Can also be used to tint White MUD. 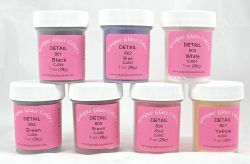 Detail Colors come in powder form, can be used as a powder or mix to a liquid using our Medium.